Fitness professional on a mission to change the world, one person at a time. 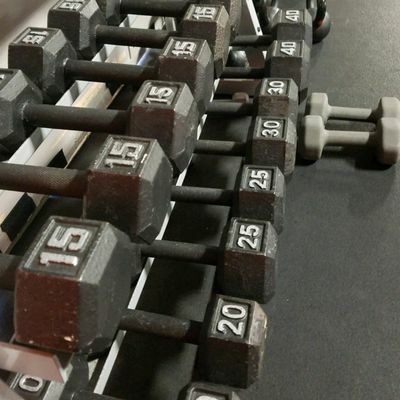 Hitting The Bar: Full Body Barbell Workout! Back at the age of 21, I was a very overweight, out of shape, physical therapy student with a bum knee. I was unsatisfied with life and didn't feel capable of anything. I didn't have anyone to help me, and no encouragement. Nobody should have to live like that! 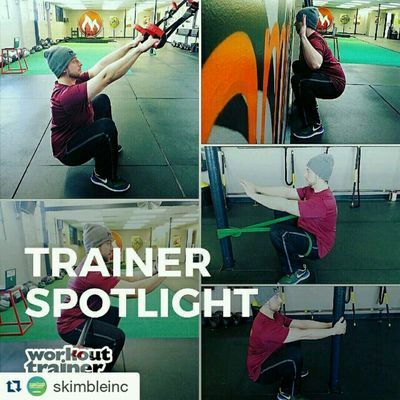 I took my knowledge of physical therapy and functional training and started applying it to myself. I ran, worked out, and ate healthy every day, and in between I was always studying. Eventually, I lost up to 108lbs and have a fully functional knee again. Even to this day, I refuse to think I know everything. I am always learning, making sure I can provide the best knowledge and information for my clients. I want to be there for you. You shouldn't have to do this alone. I will not let you fail! What's your go to Protein? 7 spots available for customized online training programs made for YOU, not a generic program shared between many. feel free to message me with questions. alright ladies and gentlemen, its official, i am now available for online training! feel free to contact me for mote details. tomorrow mornings first Ski Fit class in Aspen. Excited to push everyone i see there! speaking today in basalt, CO. can't wait! arrived at telluride today for the weekend of wellness festival! finally here in my new home, Aspen, colorado! now that I'm all settled in, you can bet ill be posting more workouts for you all!